2 Chronicles 7:14 In Full Anointing! This post is a Clarion Call to all true believers in the Universal Body of Christ to fast and pray for the church, our nations, the lost, and our families and communities- that the Fire of GOD may usher in an outpouring that will break through the strongholds of darkness that have done such great damage to our wayward planet worldwide! Whether or not you can be at this event on April 9, 2016 at the Los Angeles Memorial Coliseum, everyone CAN be there in spirit- that is the spirit of fervent supplication, intercession, and crying out to YHVH GOD for His Mercy, Forgiveness, Grace, and Healing that are so very needed at this crucial time in human history. PLEASE prayerfully consider prayer with fasting for at least part of the time between this moment and this historic event that may well help usher in the Greatest Revival in the history of Mankind, and the Greatest Harvest of Souls that the world has ever seen! “The current of revival is sweeping by our door. Will we cast ourselves on its mighty bosom and ride to glorious victory? A year of life at this time, with its wonderful possibilities for God, is worth a hundred years of ordinary life. ‘Pentecost’ is knocking at our doors. The revival for our country is no longer a question. Slowly but surely the tide has been rising until in the very near future we believe for a deluge of salvation that will sweep all before it. Wales will not long stand alone in this glorious triumph for our Christ… The clouds are gathering rapidly, big with a mighty rain, whose precipitation lingers but a little. 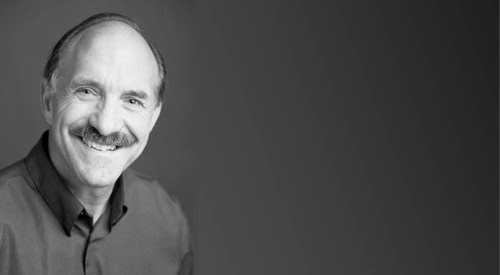 Lou Engle is a revivalist, visionary, and co-founder of TheCall, Inc. For more than three decades, Lou’s passion has been to call Believers into radical consecration through prayer, fasting, and acts of justice. Lou has been involved in church planting, establishing prayer movements, and strategic houses of prayer. He is the founder of the pro-life ministry, Bound 4 Life, and has inspired other justice movements. Lou resides in Pasadena, California, where he is a part of the leadership team at the Pasadena International House of Prayer. He recently launched the Spiritual Air Force Academy with a mandate to train and deploy teams across the world for breakthrough intercession in partnership with missions. Lou and his wife, Therese, have been married for 34 years. They have seven children. This post originated at the ElijahList.com website and is shared with permission. Kingdom Blessings to all who love the Father; worship, honor, and obey the LORD Jesus Christ; and strive to live under the anointing of and submission to the Holy Spirit of YHVH- In Jesus’ Holy Name, AMEN!